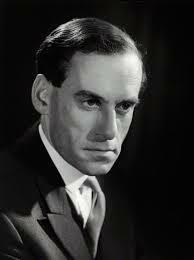 Jeremy Thorpe was the Liberal Party’s most charismatic leader since David Lloyd George, whom in many ways he tried to emulate. I first met him when he came to speak at the Oxford Union while I was Secretary of the university’s Liberal Club and I was dazzled by his wit, his talent for mimicry and his genuine interest in everyone he spoke to. 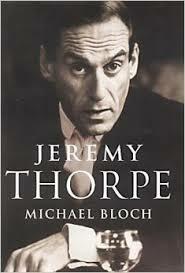 All those charms, and more, are evident in Michael Bloch’s magisterial biography (Jeremy Thorpe Little, Brown £25), which means that the reader gets a good idea of the substance of the man before his catastrophic downfall in 1979, when he was a co-defendant in a trial on a charge of conspiracy to murder. The supposed target of this plot was the sometime model and horseman Norman Scott (né Josiffe), with whom Thorpe developed a most unfortunate relationship, which he then spent many frustrating years trying to shake off. His constituency association in North Devon adored him, as did much of the electorate until his disgrace — and even after that, many friends and political acquaintances stood by him. Very soon after the trial — at which he was acquitted — it became obvious that he was suffering from Parkinson’s disease, but it is tribute to his fortitude (one might even say his cussedness) that he lived for another 25 years, mostly confined to the beautiful house in Orme Square which his second wife Marion received as part of her divorce settlement from Lord Harewood with trips to their other two homes in North Devon and Suffolk. Marion’s loyalty to Jeremy was quite extraordinary and is rightly acknowledged as such in Michael Bloch’s book. 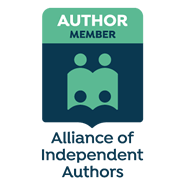 Neither Jeremy nor Marion were particularly happy about the book’s being written, and having read it in draft nearly two decades ago, Jeremy insisted that it not be published while he was alive. That was a pity in many ways, as he could not have wished for a fairer and more scrupulous biographer, who over 500 impeccably researched pages gives a brilliant picture of the man, warts and all, critically but ultimately affectionately. When the International Office of the Liberal Democrats first mooted the idea of a fringe meeting at this weekend’s Spring conference in Liverpool on issues surrounding radical Islam some voices urged caution, fearful this could inflame tensions. But what is a Liberal party for, if not to stand up for the freedom of expression in a tolerant, diverse society? The recent bloody excesses of ISIS in Syria and Iraq — one of whose victims was the noble aid volunteer from my home town of Eccles, Alan Henning — have highlighted the need to tackle the scourge of Islamism head-on. This is absolutely not the same as criticising the religion Islam, whatever some critics might say. Islamism, the radical ideology that seeks to impose its own extreme interpretation if Islam on society is as far from the core values of Islam as the Spanish Inquisition was from the core values of Christianity. 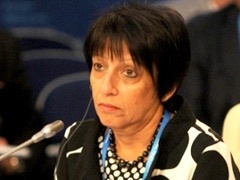 Indeed, as (Baroness) Kishwer Falkner — a secular Muslim LibDem peer of Pakistani origin — declared at the controversial fringe meeting last night, ISIS are essentially fascists, far more extreme than just extreme. 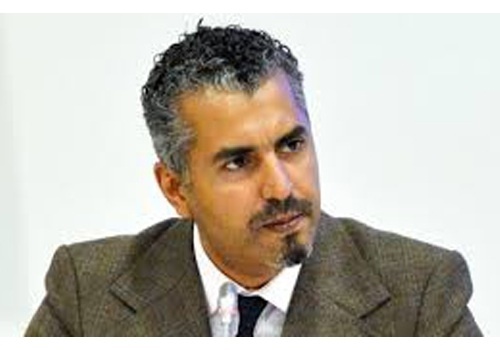 Maajid Nawaz, the LibDem candidate for Hampstead and Kilburn at the forthcoming general election also spoke passionately of the need to defend the right of people to have any religion or none, or even to change religion if they wish — though apostasy is a capital offence in some conservative Islamic states. Such issues were reprised in a plenary debate at the conference this morning, when a very detailed motion on protecting freedom of expression was overwhelmingly passed. I spoke in that debate, highlighting the fact that journalism has become a much more dangerous occupation than when I first started as a teenage cub reporter for the Manchester Evening News in Vietnam. These days, journalists are often deliberately targetted, not just in the Middle East but in countries such as Brazil, Mexico and Russia. 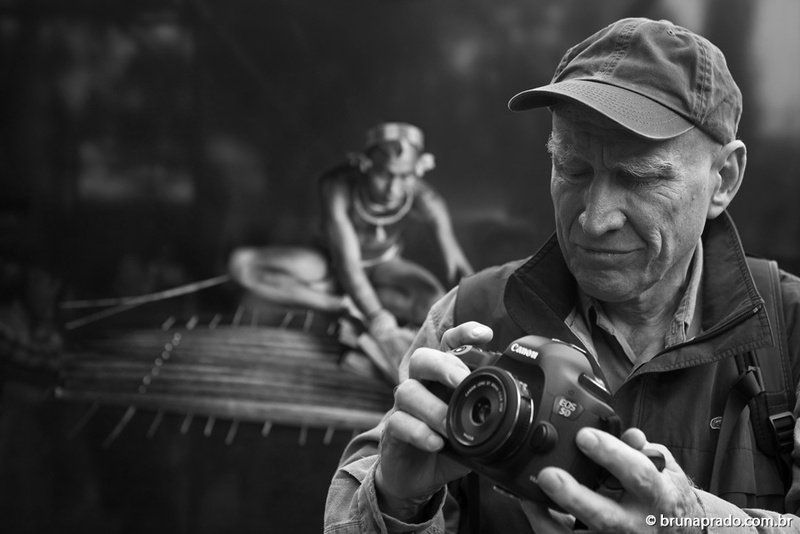 It is essential that we champion the principles of free expression enshrined in both the European Convention on Human Rights and the Universal Declaration of Human Rights, including in relation to the media. As the late US statesman Adlai Stevenson once said, a free press is the mother of our liberties — something we should bear in mind this Mothering Sunday. With just eight weeks to go until polling day, the opening rally at the Liberal Democrats’ spring conference in Liverpool had one clear aim: to enthuse the troops in a campaign that is all about survival. 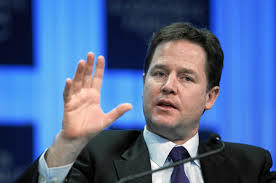 Not that I believe the LibDems face annihilation, much as the more strident sections of the Labour party might wish. But the feedback from those who have been out on the doorsteps up and down the country suggests that providing enough work is put in the party should hold far more parliamentary seats than the headline opinion poll figures imply, and could even pick up a couple. Former leader Paddy Ashdown is the campaign supremo and he gave one of his trademark performances in setting out why it is so important that there should be Liberal Democrats in government again after 7 May, to curb the cutting of the Tories or the accelerated borrowing of Labour. 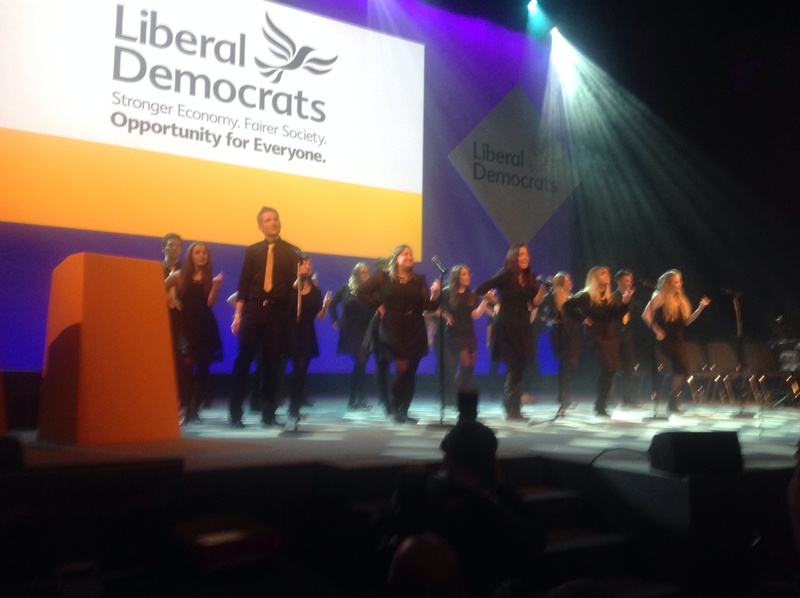 Unusually, he and other keynote speakers, including party president Sal Brinton and Welsh LibDem leader Kirsty William, were introduced by some tongue-in-cheek song and dance acts that certainly created a warm feeling in the hall. There were also some video links to some of the party’s key target candidates — all women — including Lisa Smart in Hazel Grove and Jane Dodds in Montgomeryshire. Any worries some people might have had that number of conference-goers this time might be down were visibly confounded. And for any who might have felt guilty about not being out on the streets campaigning, there is a phone bank operating in the main conference exhibition hall, with everyone being urged to make at least 10 canvassing calls. 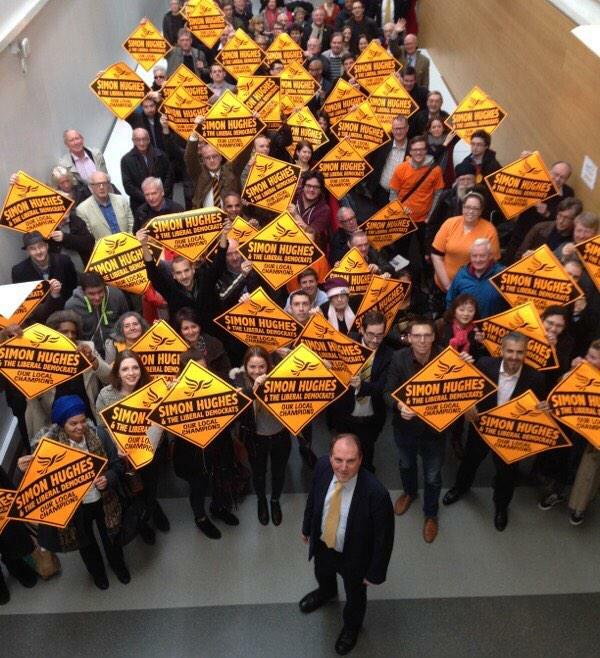 With just two months to go to the UK’s parliamentary elections Liberal Democrats in the capital gathered at Southbank University this morning for a campaign lift-off featuring Deputy Prime Minister Nick Clegg and Justice Minister Simon Hughes. Nick’s capacity to remain bright-eyed and bushy-tailed despite all the vitriol poured over him by political opponents, on top of having a very demanding job, never ceases to amaze me, and (Baroness) Floella Benjamin paid just tribute to him in introducing him. He reminded us all — as we in turn will have to do on the doorstep between now and 7 May — of the real achievements Liberal Democrats have clocked up during five years in government, including raising the tax threshold, introducing the pupil premium for disadvantaged schoolchildren and the implementing the “triple lock” pension reforms. Nick and Simon Hughes also cited some of the things that LibDems have managed to stop the Conservatives doing, including sacking people at will and bringing in the Snoopers’ Charter. The British economy is performing better than any of its European competitors and at least some of the legacy of Labour’s financial mismanagement has been rectified. But huge challenges remain, including the need for accelerated building of affordable homes, not least in Great London. Simon pledged that housing will be at the heart of his own campaign to hold the Old Southwark and Bermondsey seat that he has represented for over 30 years. And after just one-and-a-half hours of speeches and Q&As, everyone piled out of the conference for a quick sandwich lunch at the nearby Ministry of Sound before hitting the streets, canvassing and delivering to hekp get Simon returned, blessed by some premature warm spring sun. It is frustrating that so much of the discussion about Britain’s relationship with the European Union is about the question “should we be in, or should we be out?” The Prime Minister, David Cameron, must shoulder some of the blame for this, for constantly trying to dance to UKIP’s tune, instead of standing up firmly on the side of most of British business (a natural constituency for him, one would have thought) to stress how important EU membership is for the UK’s economy and how risky leaving to “go it alone” would be. I wish Mr Cameron, and indeed other Tory government Ministers, could have been present yesterday at Thomson Reuters in Canary Wharf to listen to the First Vice-President of the European Commission, Frans Timmermans, give a masterly exposition of how the EU can steer itself through the next four or five years, by doing less better. The event was organised by the social democratic think tank Policy Network, focussing especially on EU reform as well as UK membership, but Mr Timmermans also highlighted the need for a more concerted European response to challenges such as Russia’s adventurism, Mediterranean migration and ISIS and related matters. I asked him if that meant that a recalaibration of the EU’s priorities might therefore be towards a stronger Common Foreign and Security Policy (CFSP), at the expense of internal market regulation, but he responded by quoting Harold Macmillan’s classic remark about “events, dear boy” — in other words, the EU must be able to respond pro-actively as necessary. Meanwhile, Britain marginalises itself from EU action to the detriment of both London and Brussels; I have already blogged about my dismay that Mr Cameron stood aloof from the Merkel-Hollande mission re Ukraine. 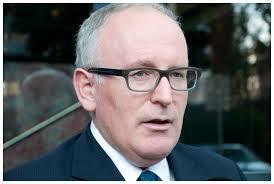 On that specific issue, Mr Timmermans said that even if the Minsk Agreement has not yet reached a satisfactory conclusion, Minsk must be the basis for taking things forward.